Preheat the oven to 180°C (fan). 1) Mix together the butter and sugar until very smooth. 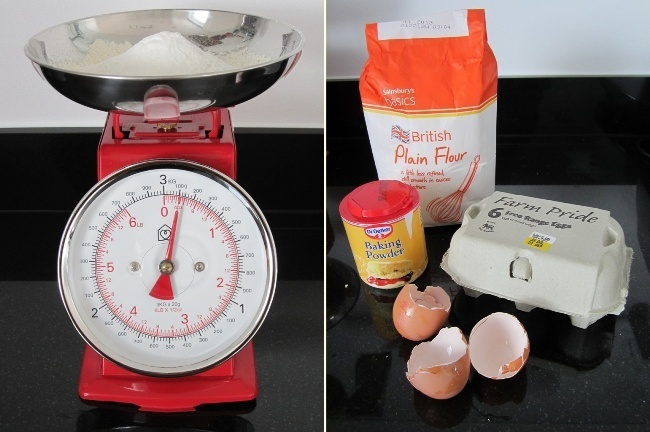 2) Gradually add the eggs while continuing the mixing. 3) Combine flour and baking powder and add to the batter. 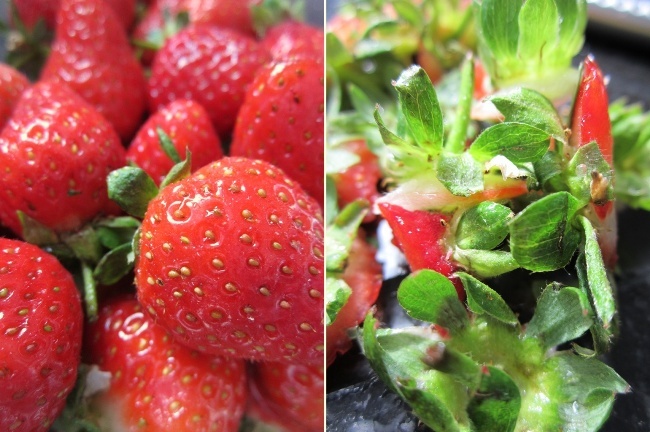 4) Fold in the nuts and chopped strawberries until just combined. 5) Fill the batter into your muffin cups or a lined muffin tin and bake for half an hour. 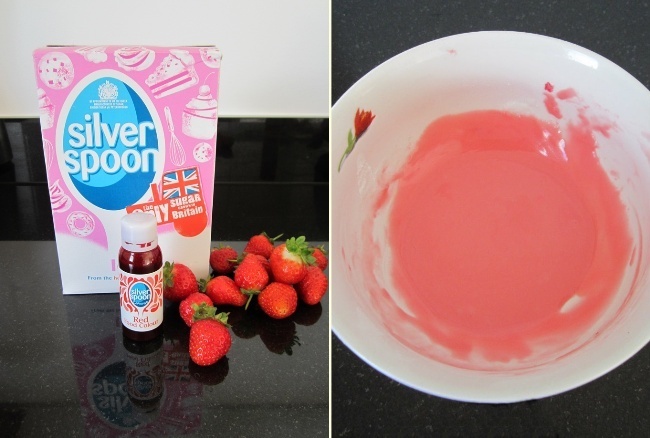 6) Stir together the icing sugar and the water until smooth (add a few drops of food colouring if you like). 7) Decorate the muffins with the icing and add the whole strawberries on top. Oh these look so cute!!!!! Thank you :) they are sooo yummy! © Blueberry Days by Meike, 2011-2014. Simple theme. Powered by Blogger.